Youngme, Mihir, and Felix debate whether Netflix’s success is sustainable, before trying to wrap their heads around the unthinkably high murder rate in Latin America. They also share their After Hours picks for the week. 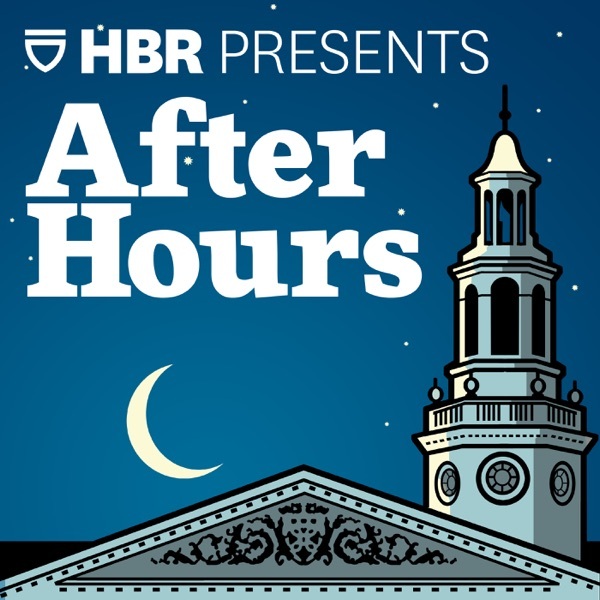 You can email Youngme, Mihir, and Felix with your comments and ideas for future episodes at: harvardafterhours@gmail.com. Youngme, Felix, and Mihir debate Medicare for All and ask whether the U.S. healthcare system is broken. They then offer quick takes on everything from Amazon's latest HQ2 news, Alexandria Ocasio-Cortez's influence, Marie Kondo, the toy industry, Spotify's aggressive push into podcasting, and more! Youngme, Felix, and Mihir debate U.S. fears about Huawei and implications for U.S.-China relations. They also offer their interpretation of Facebook's latest earnings results, before sharing their After Hours picks for the week. Youngme, Felix, and Mihir debate two of the dramatic and controversial tax ideas being proposed by Democrats (a 70% marginal income tax rate and a 2% wealth tax), before discussing the trend among brands like Gillette, Nike, and Pepsi to launch “woke” advertising campaigns. They also offer their After Hours picks for the week. Youngme, Felix, and Mihir discuss why CEO departures are occurring so frequently, before unpacking the flaws in our 401(k) system. They also offer their After Hours picks for the week. Youngme, Felix, and Mihir discuss Apple's position in the Chinese market; debate whether payday lending is good or bad for workers; and ask whether companies should be doing more to help employees manage cash shortfalls. They also offer their After Hours picks for the week. Taped a few days before heading off for the holidays, Youngme, Felix, and Mihir share their After Hours Predictions for 2019, covering everything from Big Tech, to food, to finance, to entertainment. Taped a few days before heading off for the holidays, Youngme, Felix, and Mihir share their After Hours Awards for 2018, including their awards for Best/Worst Trend of the Year, Biggest Fail of the Year, Sleeper of the Year, Comeback of the Year, Work Cut Out for Them Next Year, Most Under-Reported Story of the Year, Most Over-Hyped Story of the Year, Person of the Year, and Favorite Entertainment of the Year. Youngme, Felix, and Mihir discuss Verizon's write-down on Oath (Yahoo, AOL) and the challenges with building a digital advertising business. They also debate the notion of Radical Transparency, before sharing their After Hours picks for the week. Youngme, Felix, and Mihir discuss staggering student debt levels, the FIRE (Financial Independence, Retire Early) Movement, and share their After Hours picks for the week. Youngme, Felix, and Mihir debate whether Microsoft is trending up while Apple is trending down, before discussing the Marriott (Starwood) data breach. They also share their After Hours picks for the week. Youngme, Felix, and Mihir tackle climate change, discuss the Nissan-Renault soap opera, and share their After Hours picks for the week.